We are celebrating University Press Week 2018 and today we will be considering the theme of history, with a staff pick from Tom Dark, Senior Commissioning Editor in Social Sciences. The relationship between science and the public has never been straightforward and it somehow feels like it is more fraught now than ever before. Whilst media and politicians increasingly question the role of the expert across the world, the experts themselves are pressed to get better at communicating and be more transparent, more open. This is a rich area for book publishing and indeed for social scientific enquiry. 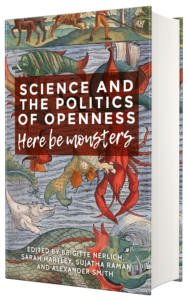 Earlier this year, MUP published Science and the politics of openness: Here be monsters, which examines a lot of the issues thrown up by the seemingly growing divide between science and the rest of us. The book is an edited collection that grew out of the Leverhulme Trust funded project ‘Making science public’. It is divided into four parts: Transparency, Responsibility, Expertise and Faith. The editors invited renowned scholars to open each section by describing what that term meant for the debate about scientific openness, and the sections then bring in case studies of contentious areas for discussion. The topics covered range widely from climate change to animal research, public engagement exercises to the representation of science in Hollywood, and open access publishing. The contributors come mainly from Sociology, Science and Technology Studies and the History of Science, so it is pretty interdisciplinary. It is hard not to find at least one of the examples fascinating in terms of personal interest and I certainly found this to be true working on the book and reading through the drafts. This intrigue is only strengthened by the way most chapters work to engage with the theme of monsters that was chosen for the subtitle. None of these issues is simple when it comes to the public’s understanding of science and there are indeed monsters to be found lurking around every corner. One excellent example for me is the book’s discussion of Open Access. Since the OA debates began in the early 2000s, and particularly now with growing pressure through top-down policies and mandates, we in the scholarly publishing world have been wrestling with the pros and cons of opening up our research-based publications. Needless to say, a book framed around the idea of openness, where Open Access is specifically used as a case study, we had to publish this OA. We did and that means anyone can read it here. Manchester University Press are giving you a chance to win a book each day during University Press Week. 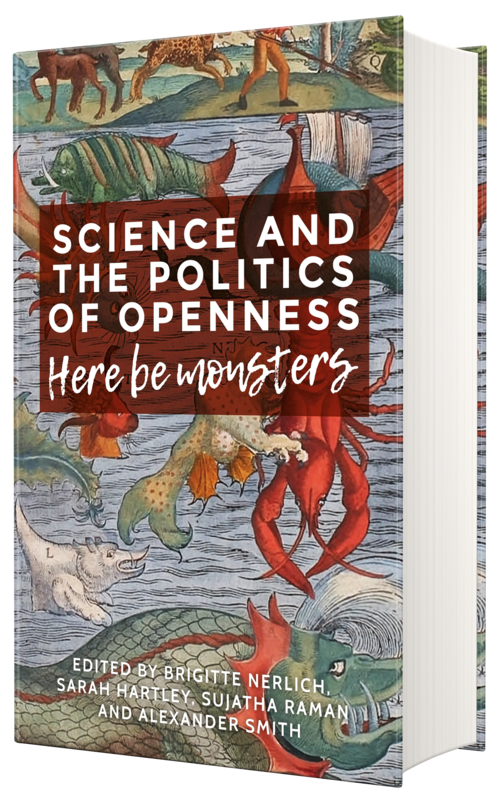 Visit our book of the month page to be in with a chance of winning a copy of Science and the politics of openness.